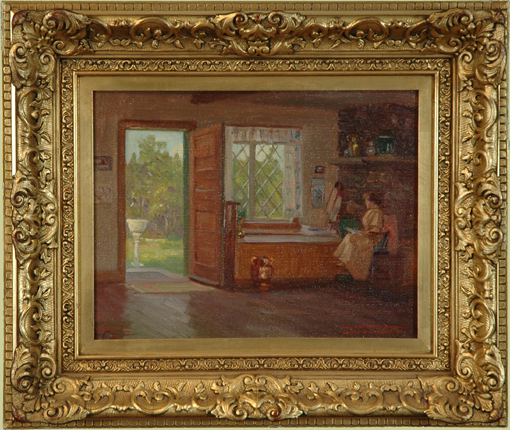 “Lillian Genthe at Home”, oil on canvas, 10″ x 13″, signed lower left, inscription lower right, titled verso. Provenance: Detroit Institute of Arts. Original signed Newcomb-Maclin, Co., Chicago and New York frame.